Spontaneous Shakespeare, Thou wilt not believe it's improvised! 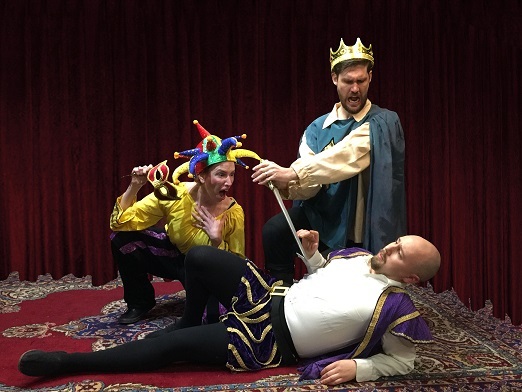 Mayhem, mirth and merriment abound at Spontaneous Shakespeare!, a completely improvised two-act comedy in the style of the Immortal Bard! 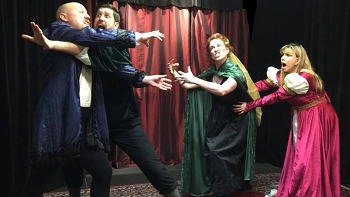 Chock full of raucous humor, mistaken identities, outrageous disguises, star crossed lovers, mischievous spirits, wily servants, hysterical wordplay and more “thees” and “thous” than you can shake a cudgel at, this hysterical improvised comedy is made up entirely on the spot and all based on your suggestions!